Dr. Holtzclaw is a native South Carolinian, being born and raised in Spartanburg. He is a proud graduate of Dorman High School and the University of South Carolina Upstate. He then followed his childhood dream of being a dentist and went on to study dentistry at the Medical University of South Carolina, where he earned his D.M.D. 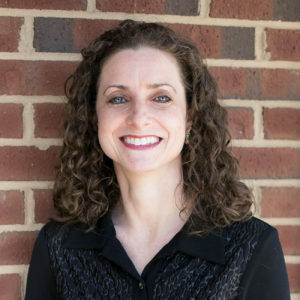 Dr. Holtzclaw is an active member of the Greenville Dental Society, South Carolina Dental Association, American Dental Association, Academy of General Dentistry, DOCS education, and International Team of Implantology. 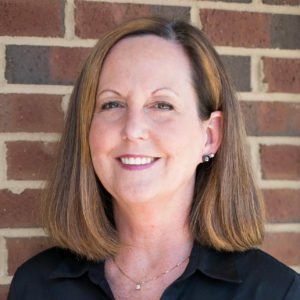 For Dr. Holtzclaw, dentistry is more than just a job. It is both a passion and hobby. He loves attending multiple continuing education classes and seminars. He is also a proud member of the Upstate Study Club, a division of the Seattle Study Club. Dr. Holtzclaw married the love of his life, Libby, in 2008 at Cross Roads Baptist Church, where they are both active members. 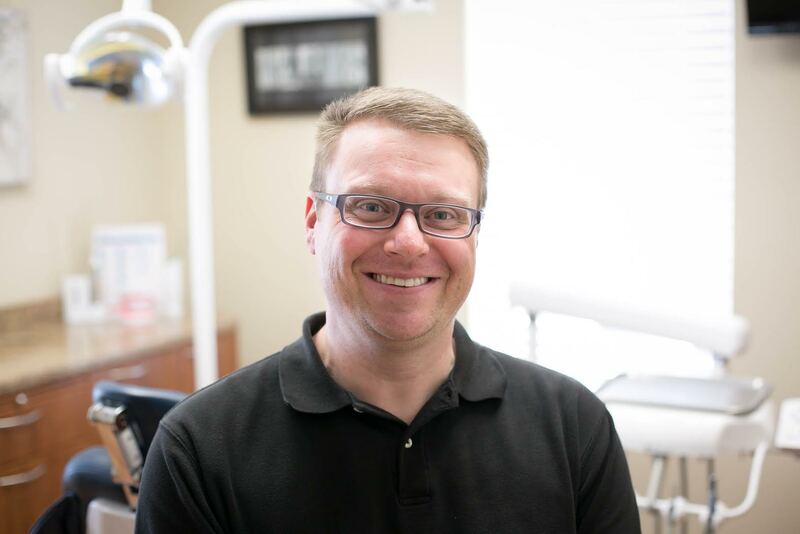 Outside of dentistry, Dr. Holtzclaw enjoys reading, listening to music, and watching almost any sport. He especially enjoys rooting on the Atlanta Braves, Miami Dolphins, and South Carolina Gamecocks. Angela is one of our dental assistants. She grew up on the west side of Spartanburg and has been a dental assistant for 20 years. She loves to assist with children and adults of all ages. Her goal at work is to put her patients at ease in the dental chair. She lives with her husband and two girls. 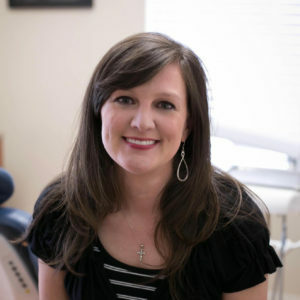 Jessica is our scheduling coordinator, and is the first person you will meet at Simpsonville Family Dentistry. Jessica is a native of Greenville, SC. She is the proud mother of two daughters. 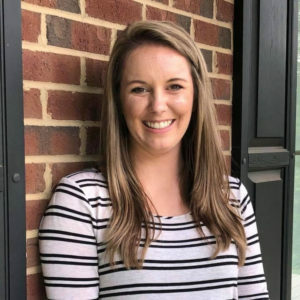 In her free time, she loves spending time with her family, working with the youth group at church, and doing a wide variety of activities throughout Greenville. Courtney joined our office in January 2013. She specializes in Periodontal Treatments. She attended Greenville Technical College and graduated in 2003. Courtney and her husband, Rick, have a beautiful daughter named Kirklynn. Courtney enjoys sewing and spending time with her family in her free time. Lacey is a native of Simpsonville. 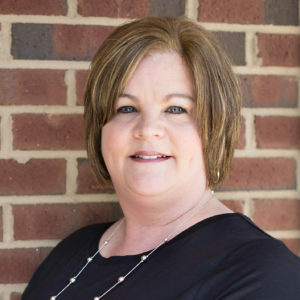 She graduated from the dental hygiene program at Greenville Tech in 1996. She has been with our team since 2009. She loves getting to know each patient and strives to make each dental visit enjoyable, especially for kids! She resides in Mauldin with her husband and 2 daughters. When she is not working, she loves the outdoors, spending time with her family and is actively involved with her church. 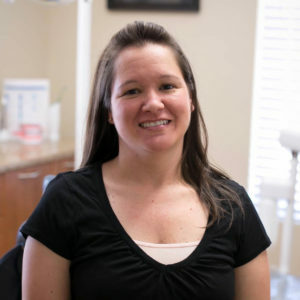 Libby has worked at Simpsonville Family Dentistry since early 2013. Her face will be one of the first faces you see when you enter the office, and she will be happy to assist you with scheduling appointments and insurance matters. She loves to help make the dental experience as enjoyable as possible for our patients. She has been happily married to Dr. Holtzclaw since 2008; they live in Fountain Inn. Merri Beth joined our team in 2013 as a dental assistant for two years. She and her husband Joel welcomed their beautiful daughter Ellie Jane into the world in October 2015. You will now see Merri Beth working part time at the front desk. 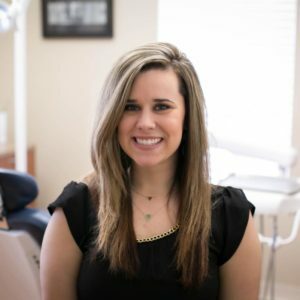 She is happy and willing to answer any dental questions you may have, and enjoys working with patients from a new perspective. Miriam is our dental assistant. She grew up in the Fountain Inn area where she still resides with her husband. Miriam completed the dental assisting program at Greenville Tech. She has been with our team since 1997. She enjoys her job and takes pride in getting to know our patients. She is considerate of the needs of our patients and puts them at ease. She enjoys reading and spending time with family and friends. 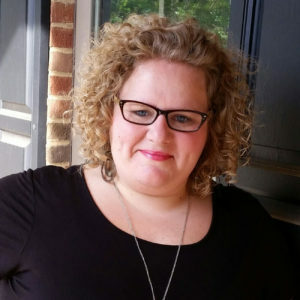 Casey was born and raised in Simpsonville, SC. She graduated from Hillcrest High school in 2011, attended Tri-County Tech and received a degree in Expanded Duty Dental Assisting in 2014. Casey resides in Fountain Inn with her husband Brandon along with two dogs Daisy and Mallard. She loves visiting Charleston; going to Clemson football games, and boating.